Each week of the legislative session, we send you a digest of the latest water policy news and actions you can take. At the top of each e-news, you’ll find the easy action of the week, it only takes a few minutes and it is the most urgent call to action. 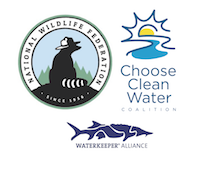 The Legislature still has not considered the recommendations of the Public Water System Supply Study Commission (PWSSSC) to better protect our public drinking water. We’re running out of time to have these important recommendations brought before legislators. This week, we’re asking you to contactSenate President Carmichael and House Speaker Armstead again and request that the recommendations of the Public Water System Supply Study Commission (PWSSSC) be considered by members of the Legislature. Easy Action: Click here to send a letter to Senate President Carmichael and House Speaker Armstead. Pocahontas County residents speak out against SB270. Last week we shared the news that SB270 was replaced by a substitute bill that would limit commercial logging to Watoga State Park. As of this e-news, the bill is still in the Senate Natural Resources Committee and has yet be added to the agenda for further discussion or a vote. 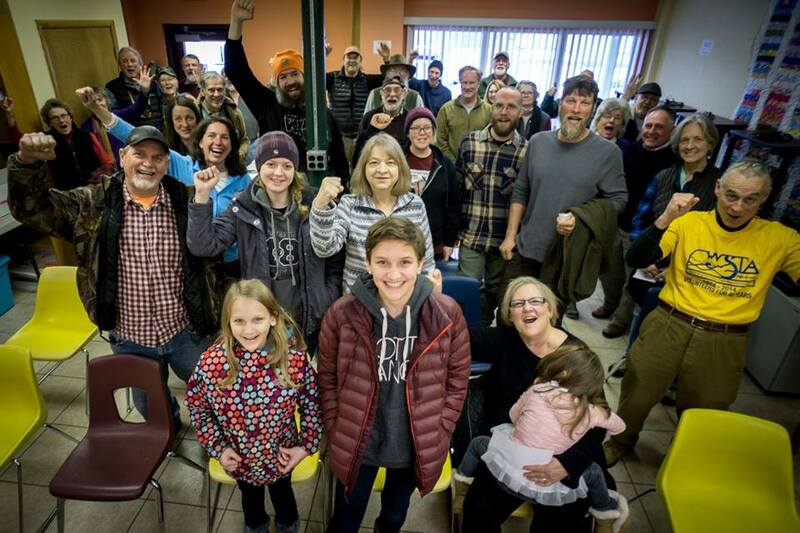 Over the weekend residents of Pocahontas County, the home Watoga State Park, fought back against SB270 by hosting a weekend of action against the bill. Saturday, a community meeting was held in the Hillsboro library, where about 40 people braved the wintery conditions to organize and write letters to Governor Justice and legislators opposing commercial logging in Watoga. On Sunday, folks hiked through the old-growth forest of Watoga State Park documenting big trees and abundant wildlife found within the tract. You can view the photos here. Stand with Pocahontas County and amplify their voice, send a letter to members of the Senate Natural Resources Committee letting them know you oppose any logging in any of West Virginia’s state parks! Send a letter now! Late last week, the Senate Energy, Industry, and Mining Committee originated SB626, a bill pushed by the coal industry that makes changes to how the public is notified of permits related to coal mining and deletes an entire section of the Water Pollution Control Act. The process of SB626’s introduction undercuts public participation. The bill originated in committee, was sent straight to the Senate floor, and the text was not posted publicly until Monday evening of this week. That basically gave the public and stakeholders, like WV Rivers, only one day to analyze the bill and provide information on SB626 to the public before it’s voted on by the Senate. It makes changes to the public notification process. SB626 removes the requirement for notice by publication in local newspapers of surface mining permits. This change cuts sections of the public, especially rural areas where most surface mining occurs, out of the public notice process. Until affordable broadband access for all West Virginians is a reality, WV Rivers believes the state cannot abandon notice by publication. The bill largely deletes an entire section of the Water Pollution Control Act. One day to review and analyze the water quality implications of SB626 simply isn’t enough time. The fast-track of an originating bill that isn’t publicly available until hours before it’s on the floor puts citizens in an impossible position of being able to weigh in. We recommended Senate members table the bill to give the public and the members of the Legislature a chance to give these changes full consideration, but the Senate went ahead and unanimously passed the bill this afternoon. The bill now goes to the House for consideration. Angie was a guest on Tuesday’s, 2/21, The Legislature Today television program. She spoke about many of the bills we’re tracking this session, including the logging bill, the 2018 “Regulatory Reform Act, and the coal bill. Angie describes the overall attitude of state leadership to promote industry-backed bills without long-term consideration of the bills implications to public and environmental health. You can view her full interview here. SB270/HB4182: See our update above on SB270. SB626: See our update above. SB290: The bill that makes changes to water quality standards and pollution limits. The original bill was replaced by a substitute while in committee and the revised SB290 passed the Senate and is now in the House Judiciary Committee. They bill has yet to appear on the committee agenda. See our analysis on SB290 in a previous edition of Policy News here. 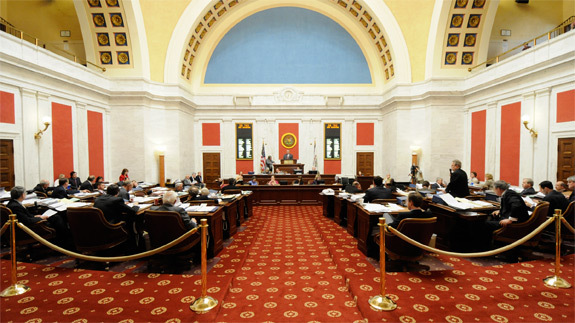 SB410: The bill that would establish a new position within the WV Department of Environmental Protection, the industry advocate, was taken off the committee agenda. This is a good sign SB410 will not progress this session. HB2909: Introduced to the House Government Organization Committee, HB2909 would abolish the office of the environmental advocate within WVDEP. So far, the bill has stalled in committee. HB4154: The “2018 Regulatory Reform Act” expedites the approval of certain industrial projects in a way that leaves the public out of the process. It will be voted on by the House soon. It still needs to go through the Senate.